Hodge also discusses the uranium market in this interview, explaining which producers he thinks will come back online first. 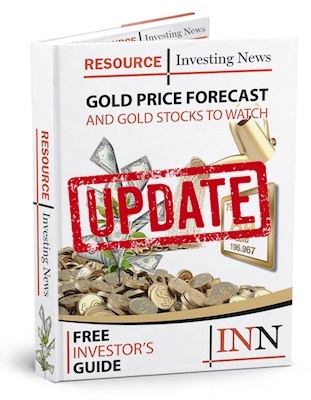 The gold price has been trading just below the $1,300-per-ounce mark for most of 2019, managing to breach it midway through last week. But what will it take to push the yellow metal into a bull market? “It looks like people are ready to come into the space that aren’t currently in the gold space, and that is what is truly needed for a gold bull market,” he said at the Vancouver Resource Investment Conference. Hodge said he is beginning to see that interest return, explaining that there are two factors driving attention from non-traditional gold investors: the bitcoin/cryptocurrencies phenomenon and the fact that gold is in the headlines. Watch the video above for more insight from Hodge on gold, as well as his thoughts on where the uranium market is at. You can also click here to view our full playlist from the conference on YouTube. The gold market will not accurately reflect its value until we eliminate massive short selling. Every time it begins to rise, short selling drives the price down again. Bankers don’t want gold to rise. They own and control 95% of the money in the world. For them, shorting is easy. Eliminate shorting and shorts will have to cover. How much gold has been loaned to short sellers? Has the gold in Ft. Knox been loaned to short sellers. Imagine the demand if this had to be returned! !